Memory Game: print two copies and cut apart. Play a game of memory. Match up the tracks: Cut the name of the animal off the bottom of the flashcard. Can you match the name of the animal to the correct track? Move like the animals: Can you move like the animals? 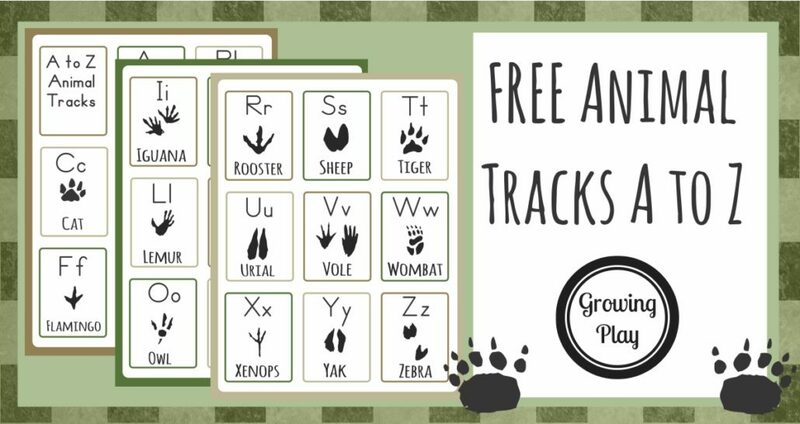 Enter your email below to be redirected to your FREE set of animal track flashcards A to Z from Growing Play. 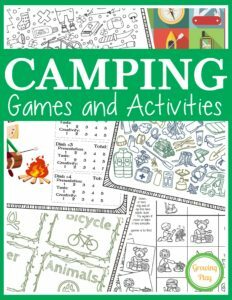 Camping Games and Activities: includes 25 fun puzzles, mazes and games to play while on a camping trip or anytime! FIND OUT MORE.